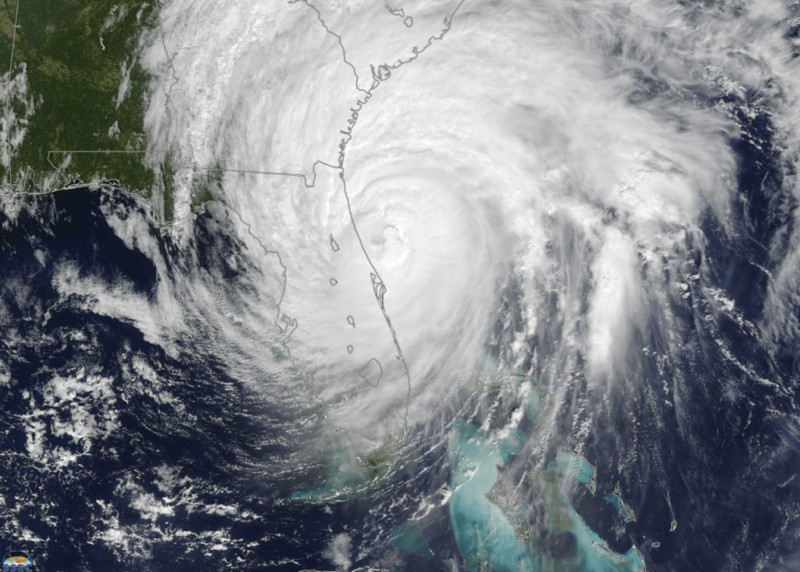 Active Atlantic hurricane periods, like the one we are in now, are not necessarily a harbinger of more, rapidly intensifying hurricanes along the U.S. coast, according to new research performed at the University of Wisconsin–Madison. In fact, the research — published Wednesday (Jan. 4, 2017) in the journal Nature by James Kossin, a federal atmospheric research scientist based at the UW — indicates that hurricanes approaching the U.S. are more likely to intensify during less active Atlantic periods. During more active periods, they are more likely to weaken. The relationship between the number of hurricanes that develop in the Atlantic basin and the number of major hurricanes that make landfall is a weak one, says Kossin, and one that has not yet been well explained. The new study accounts for at least part of that relationship. Historically, notes Kossin, researchers (including himself) have focused primarily on the tropical Atlantic — the main hurricane development region —without distinguishing how hurricane-producing conditions may vary outside of it. They knew a combination of warm ocean temperatures in the tropics and low vertical wind shear (changes in wind speed relative to altitude) results in favorable conditions for hurricane formation, while cooler than average sea surface temperatures work in tandem with higher than average wind shears to produce quieter hurricane seasons. Scientists also knew that environmental conditions, primarily ocean temperatures and wind shear, determine whether Atlantic hurricanes intensify or weaken as their natural track pushes them northwesterly toward the U.S. coast. But Kossin, a National Oceanic and Atmospheric Administration National Centers for Environmental Information scientist working out of UW–Madison’s NOAA Cooperative Institute, wondered “what other patterns there might be.” His study took a step back and looked for related patterns over the entire basin. Kossin analyzed two datasets gathered over three 23-year periods from 1947 to 2015. The first dataset, from the historical record of hurricane observations maintained by the U.S. National Hurricane Center, supplied observations taken every six hours and included information on location, maximum winds and central pressure. The second, an environmental data set from the National Centers for Environmental Prediction and the National Center for Atmospheric Research, provided a benchmark for sea surface temperatures and wind shear for the period of interest. Overall, when the tropics generate many hurricanes — during periods of low wind shear and high ocean temperatures in the tropical Atlantic — they also create a situation where those hurricanes lose energy if they approach the coast, as they encounter a harsh environment of higher wind shear and cooler ocean temperatures. The data suggest we may be moving into another quieter period in the basin, however, where less activity works hand in hand with lower wind shears along the coast, eradicating the protective barrier. As a result, says Kossin, while there may be fewer hurricanes approaching the coast, those that do may be much stronger, in the range of Category 3 to Category 5. The threat of rapid strengthening is highly relevant to society, in particular to those who live along densely populated coastlines where the warning times for evacuation may already be short. “Knowing the relationship between tropical activity and coastal conditions that either protect the coast or make it more vulnerable may help us better prepare for future landfalls,” Kossin says. Like any research study, the results raise more questions. For instance, how might climate change affect this relationship? Other studies, says Kossin, have documented a rise in sea surface temperatures — a shift attributed to anthropogenic climate change. But the sea surface trend does not seem to be having a large effect on hurricane activity in the coastal region, at least over the past 70 years or so. Kossin says this could fall under the heading of a “climate surprise” if the environmental conditions responsible for the protective barrier during active periods are compromised by climate change.